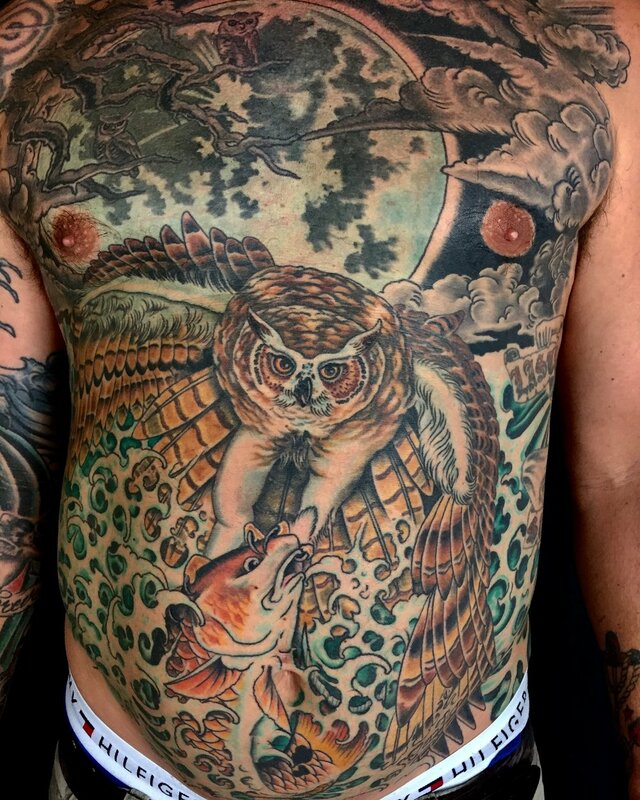 Chris Lain began tattooing in 1994 in his hometown of Corpus Christi, Texas. After working in a busy street shop for 13-years, Chris and his wife, Tina opened Pinnacle Tattoo in 2007. Chris has traveled the world, worked along side great artists, and cultivated lasting friendships. Pinnacle Tattoo is more than a tattoo shop. It is the foundation to which Chris has built his career. © Copyright 2018 Pinnacle Tattoo. All rights reserved.